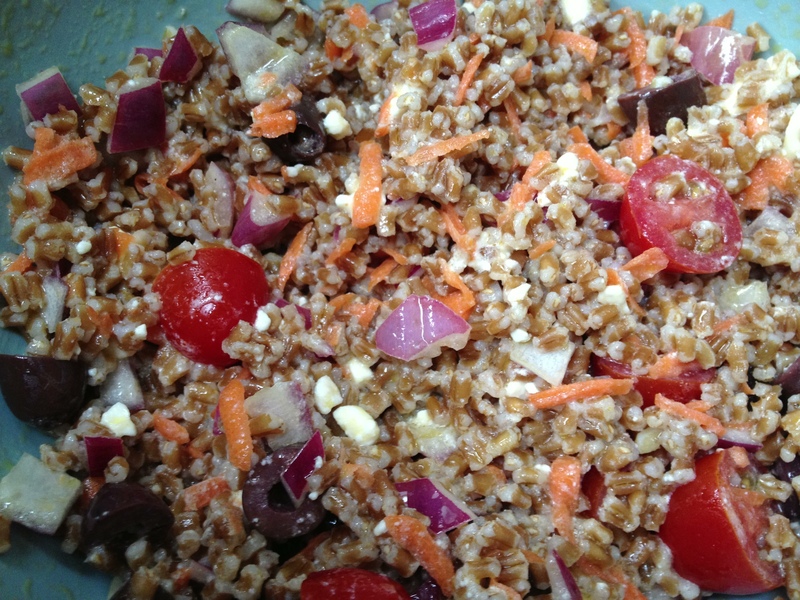 This entry was posted in Salads, Side Dish and tagged salad bar hatred, wheat berry salad by Mom Mom's Apron. Bookmark the permalink. Dawn, some day when you come to SF, I’ll take you to Canyon Market and you’ll experience true salad bar joy. I promise. Miracles happen. Also, I’m very much looking forward to trying this. Nom! I think I’ll put some of those crunchy little Persian cukes in it, too. Funny, we were just talking about maybe going to SF this year (I’ve never been) but hopefully can make it out there in 2014. And you can bet I will take you up on your offer when I get there!